Are you more of a “Mykonian” or of a “Santorinian”? Chosen again and again by the most demanding travelers as world’s top destinations, appeared hundreds of times in the most prestigious tourism reviews, photographed a trillion times, Mykonos and Santorini are the Aegean “royalties”; two exceptional islands, worth visiting at least once in a lifetime! 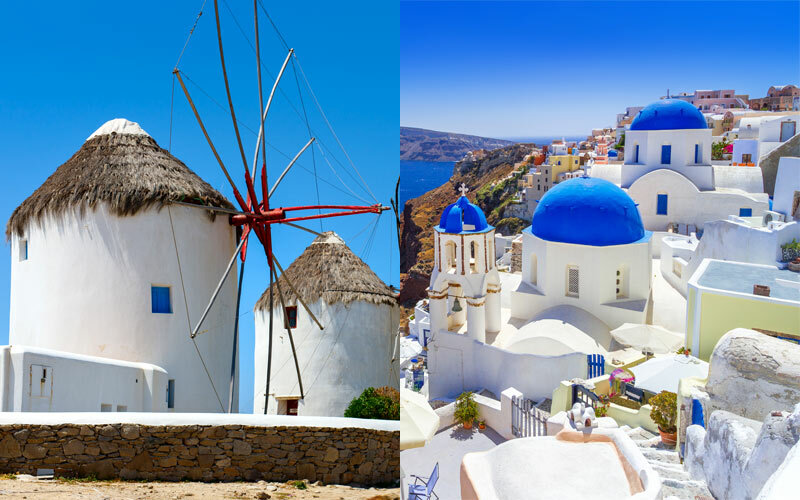 Nevertheless, given the fact that they are both stunning, the question is tough: Mykonos or Santorini? We know it isn’t that easy to decide which one of the two would fulfill your personal dream of paradise. So, before booking your next holidays—hopefully with us—allow us to help you make the perfect choice. …If you are a magical scenery lover. 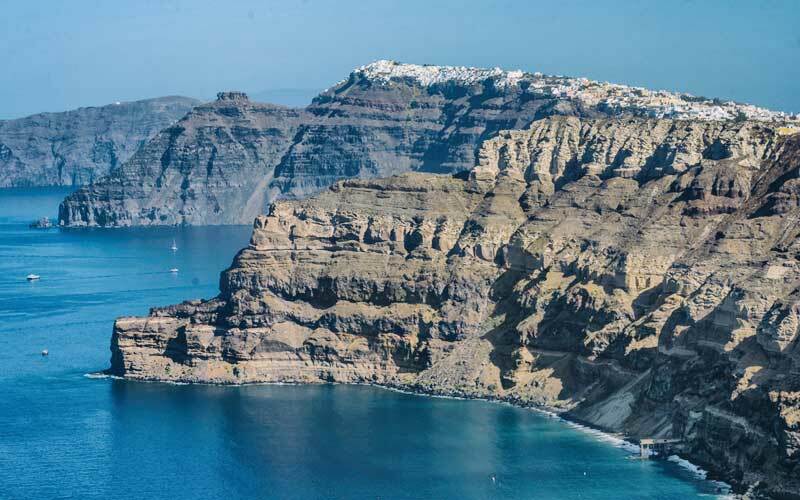 Santorini will give you more magic than you can ever dream of, offering an amazing view to an active volcano with one of the largest craters in the world, where you can even walk on! Moreover, Oia, one of the cliff top villages perched on the famous “caldera”, also offers a breathtaking view of the sun diving into the sea. …If you love excellent wine. The island is considered as one of the top wine destinations in Europe and home to the exceptional sweet tasting local “Vinsanto” wine. It is also home to one of the very few wine museums in the world while its wineries are world-renowned as best wedding venues, mostly because of their spectacular views. …If you have never swam in red, black or white volcanic beaches. It is a once-in-a-lifetime experience, especially when you realize that you are walking on some of history’s most ancient and rare pebbles! …If you are about to getting married! “Appointed” as one of the world’s top romantic wedding destinations, Santorini is a pure paradise for honeymooners! …If you cannot resist an unparallelled swim! There are more than 20-30 spectacular sandy beaches with crystal clear turquoise waters on the island. Among them you will find gay-friendly and nudist beaches, beaches where the party starts at noon and ends after midnight, family beaches and even quiet beaches for perfectly relaxing times. …If you are a shopping lover! It will be hard to choose among the vast variety of high-end boutiques, including designers brands and haute couture labels. Many designers choose Mykonos to present their most extravagant, exclusive collectors’ items since they know it is frequented by the most demanding shoppers of the world. There, you can also enjoy private shopping sessions at your resort or on a yacht. Shopping in Mykonos is indeed a unique experience! …If you can dance every night until dawn! Mykonos is renowned for its nightlife and it is no surprise that some of the best DJs in the world perform there every summer. Also, do not be surprised if you find yourself dancing next to celebrities and jet-setters, as they all adore the island and keep coming back! In other words, in Mykonos the party never ends! …If you are a fan of Greek mythology. You will have the unique opportunity to walk on the ancient ruins of Delos, a small island almost “touching” Mykonos, which was the mythological birthplace of the ancient god Apollo. Many people think that it features one of the most impressive sunsets on earth! 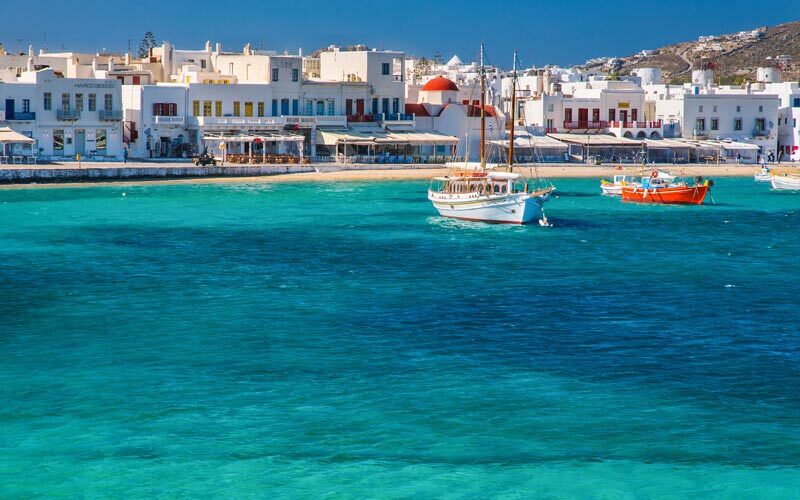 So what will it be, Mykonos or Santorini? Buy a ticket to both! …Because they are equally and incredibly beautiful islands with great accommodation options, superb restaurants, breathtaking views and exciting sightseeings. Because in both you will find picturesque white-washed sun-bleached houses and characteristic humble churches with colored domes. Also, because both have international airports and—even better—they are connected with ferries and you can hop from one to the other!